Jesus, I want to rejoice in you always. You are near. 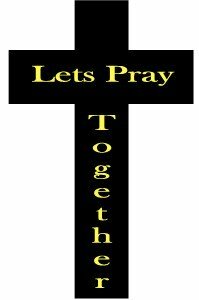 Let me have no anxiety, but in every concern by prayer and supplication with thanksgiving I wish to let my communing with God. May the peace of God, which surpasses all understanding, guard my heart and my thoughts in you.Help me to keep in mind whatever is true, whatever is honourable, whatever just, what ever pure, whatever lovable, whatever merits praise. May your truth always shape my conduct so that God, who imparts peace, may be with me. Supply my needs gloriously in keeping with your riches.Strengthen my faith and hope in your Father and mine. I believe that his power hoards me through my faith for the salvation that is held in readiness to be revealed at the end of time. Because of this give me stead fast happiness, even though now for a little while I must be afflicted by various trials. May my faith, more precious than perishable, fire tried gold, after it has withstood the test, be found worthy of praise, glory, and honour at the moment of your manifestation, Lord Jesus Christ.Lord, source of peace, grant me peace at all times and in every way. May your grace and your joy ever be with me!